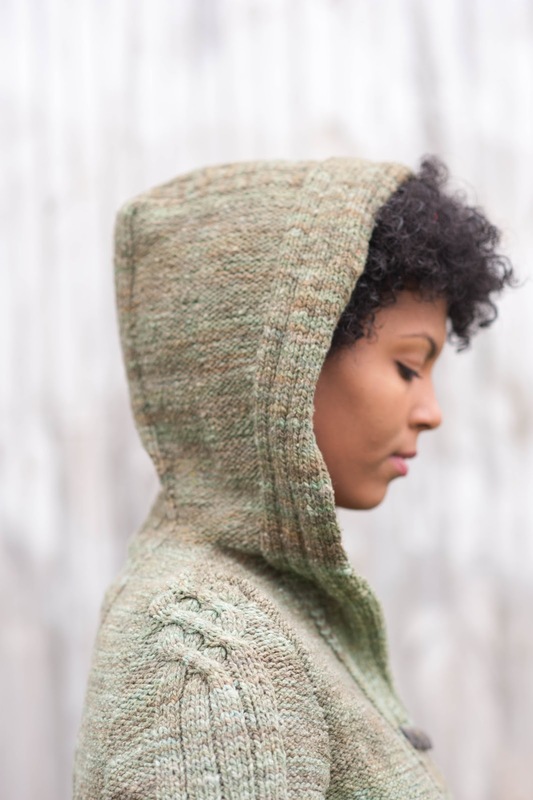 Kristen TenDyke's Blog: New from Caterpillar Knits - Nadi Coat! 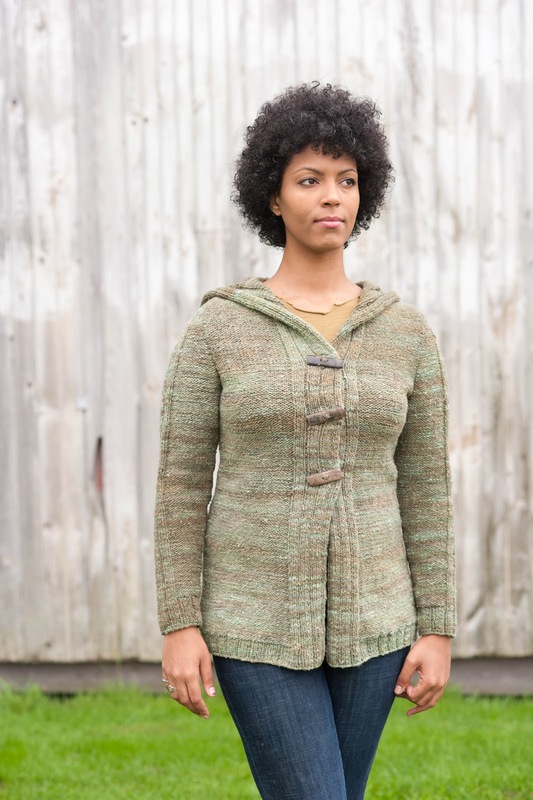 That said… here's the newest Caterpillar Knits pattern: the Nadi Coat! This beauty is knit from the bottom up in one piece to the armholes. 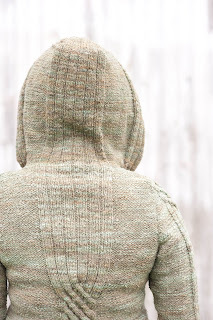 The back and fronts are divided and knit separately to the shoulders. The front and back neck stitches continue to be worked into a hood, which is shaped at the top using short rows. I really love this way of shaping hoods—I'll never shape a hood any other way, ever again. The center stitches are worked in short rows while decreasing the outer stitches. It provides for a nice roomey hood with the perfect shape! The sleeves are knit flat, and sewn into the armholes. There's a cute li'l cable detail at the top of the cap that matches the one at the center back—just smaller. The front has a single row of toggle buttons at the chest, and is open at the bottom. The button band is knit at the same time as the body, so there is no need to pick up any stitches. The wooden toggle buttons that I used are from JHB. The sweater is knit using 9 (10, 10, 11, 12, 13, 14) hanks of Cheyenne, by Mountain Meadow Wools. 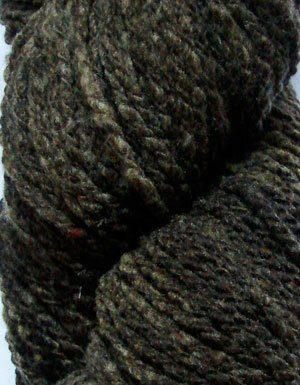 To read more about this fantastic, eco-friendly yarn, check out the review!